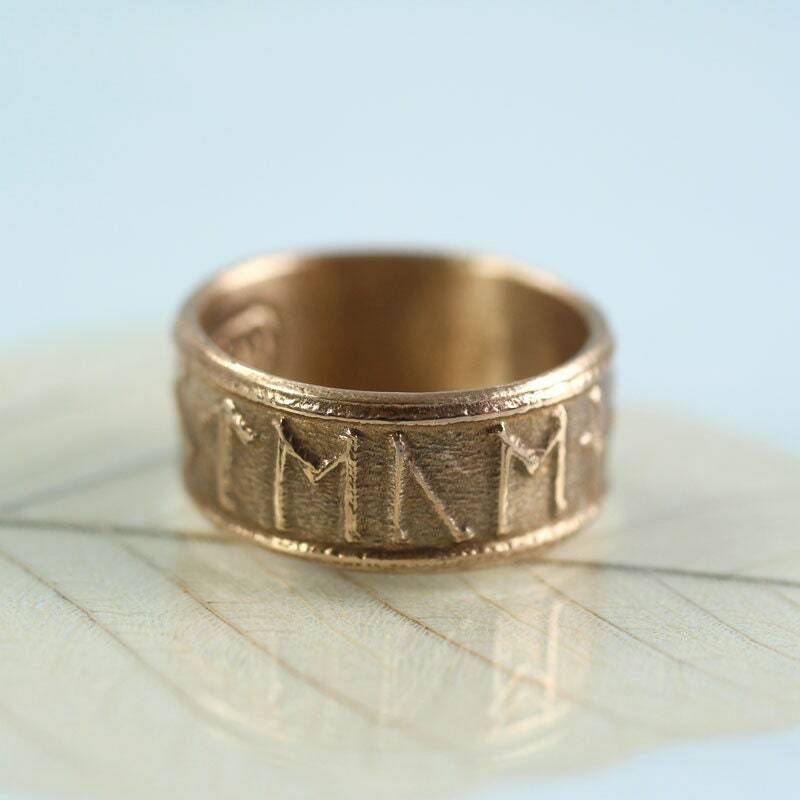 Bronze rune band ring with Anglo Saxon runes. 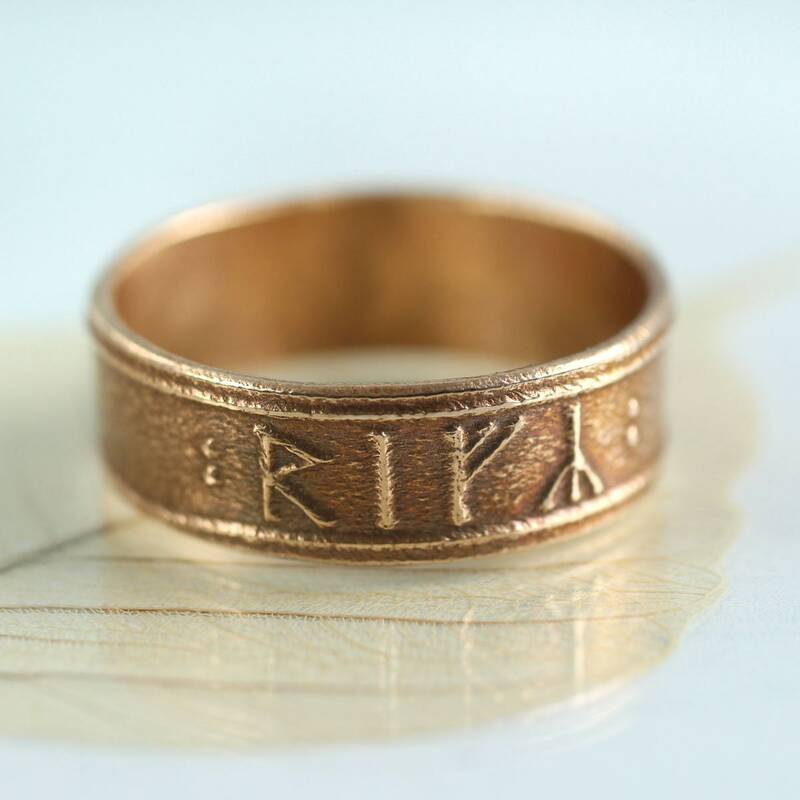 Choose your own inscription - which runes speak to you? 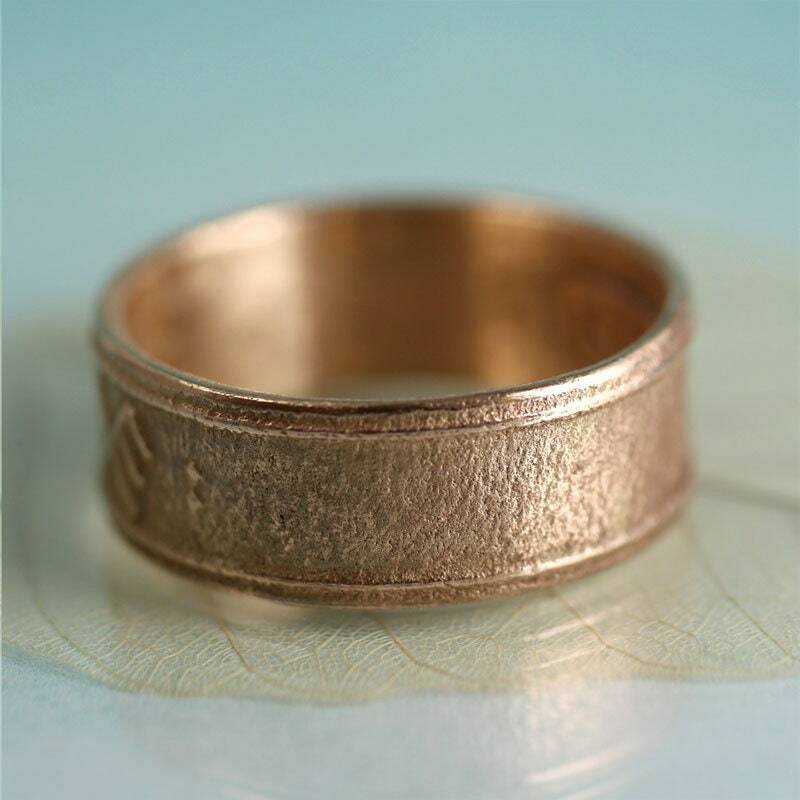 After much demand I have designed a ring on which you can choose your own inscription. The one in the photo spells Freya - the name of the Norse goddess for love, beauty and fertility and has the rune Feoh/Fehu on the underside. Feoh stands for Wealth. 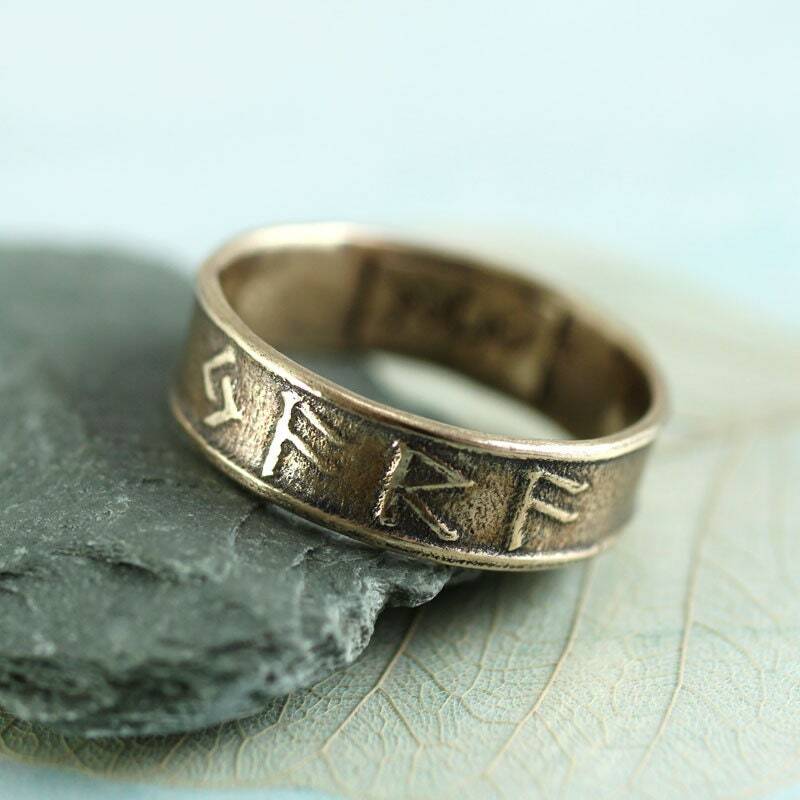 I have chosen the Futhorc runes for this ring - the Anglo Saxon derivation of the Viking runes have more of the vowel sounds that we use today in English. 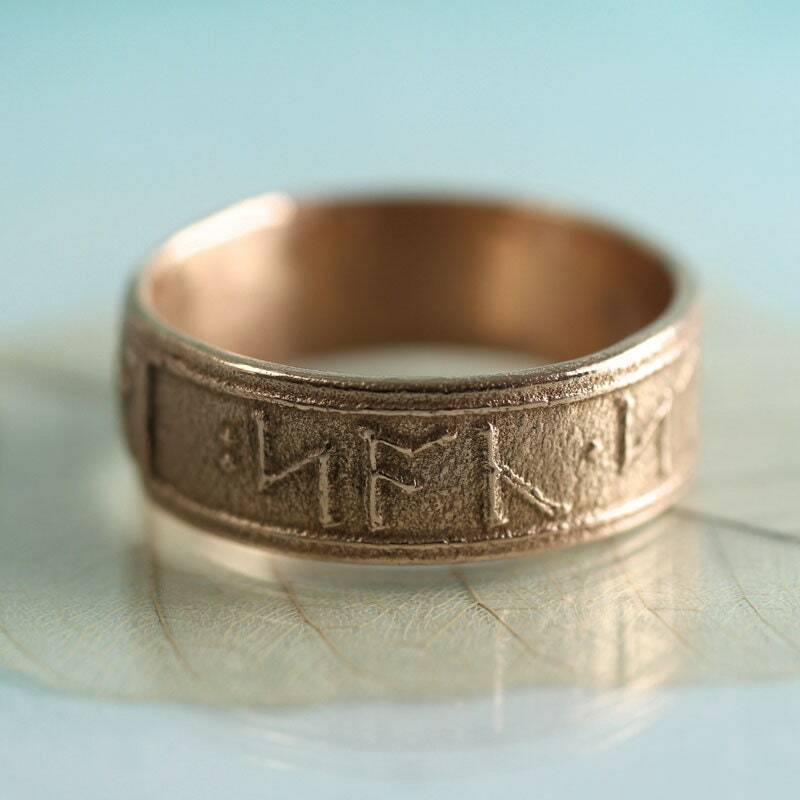 It is a 6-7 mm wide band - rustic, hand forged and oxidized to emphasize the runic scripture. I have then polished the high points to a shine. 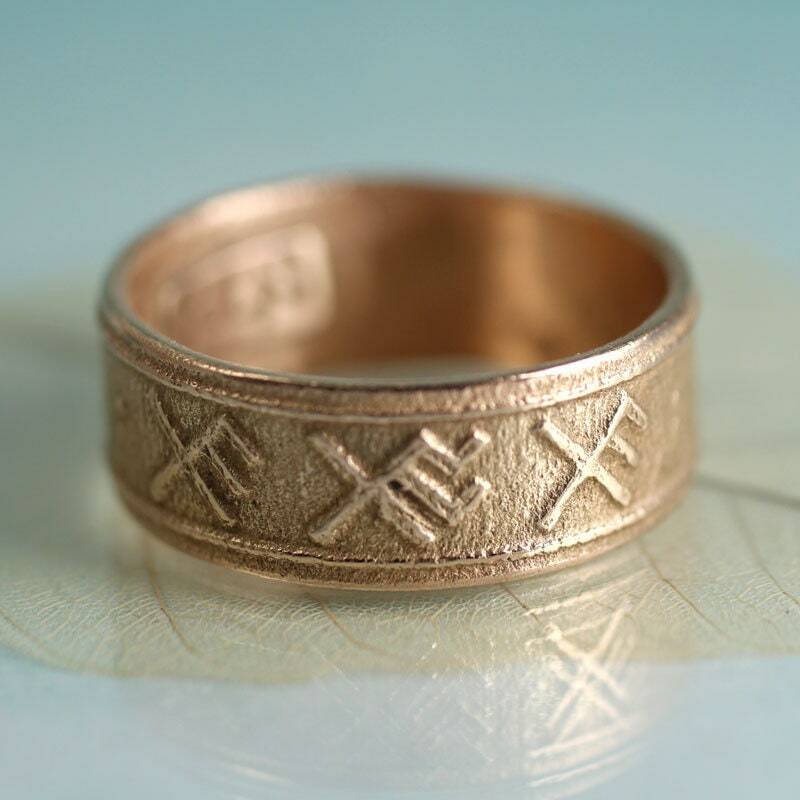 Each ring is made from a custom made texture plate imprinted with the runes. It is recycled bronze and very much on the "rustic" side. These rings are not completely smooth. 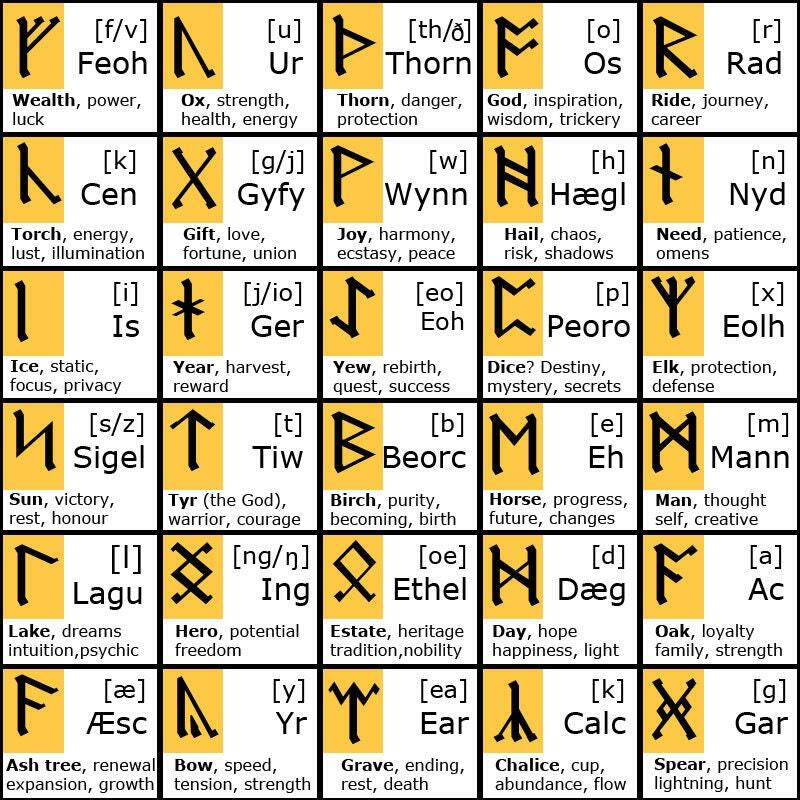 For more information on the runes and to help you choose your inner power rune have a look at the chart picture. The suggested names and meanings in the chart photo is just one interpretation - there are several out there. 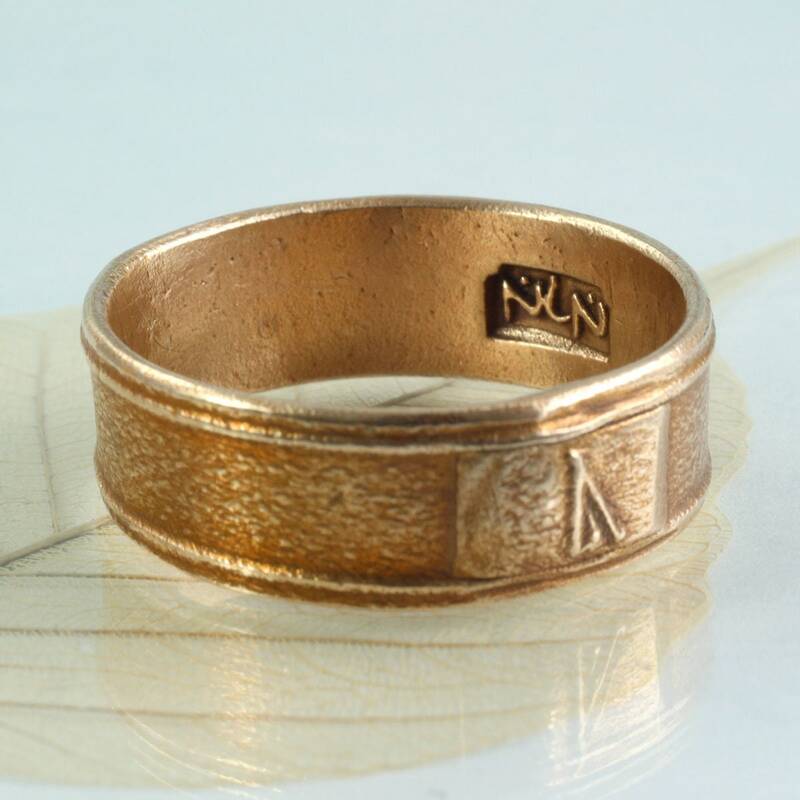 You might like to research the runes yourself and decide what they mean for you. Will the ring turn my finger green? 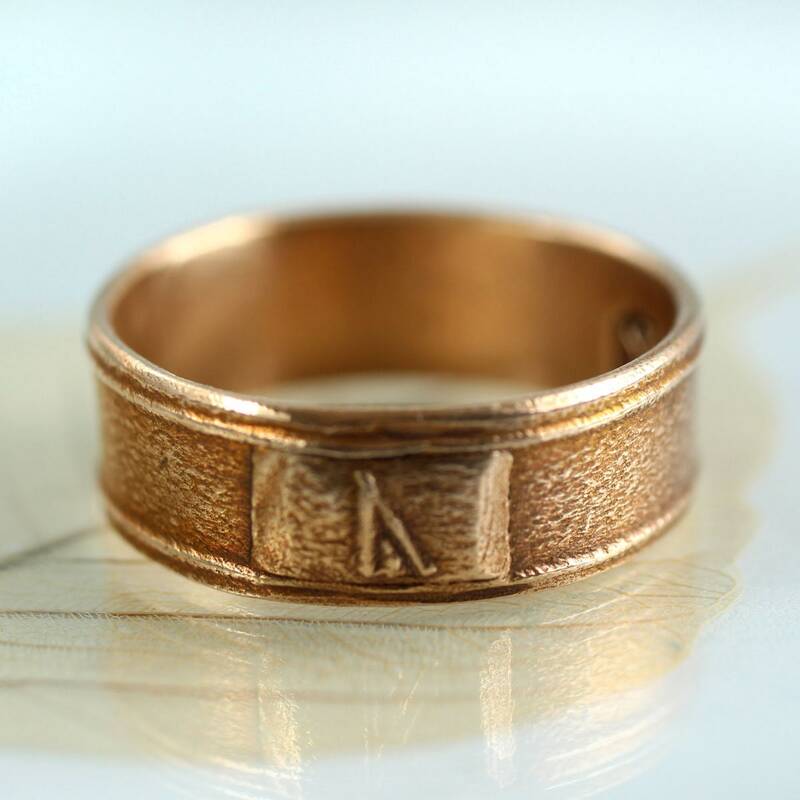 This custom rune ring came out great! 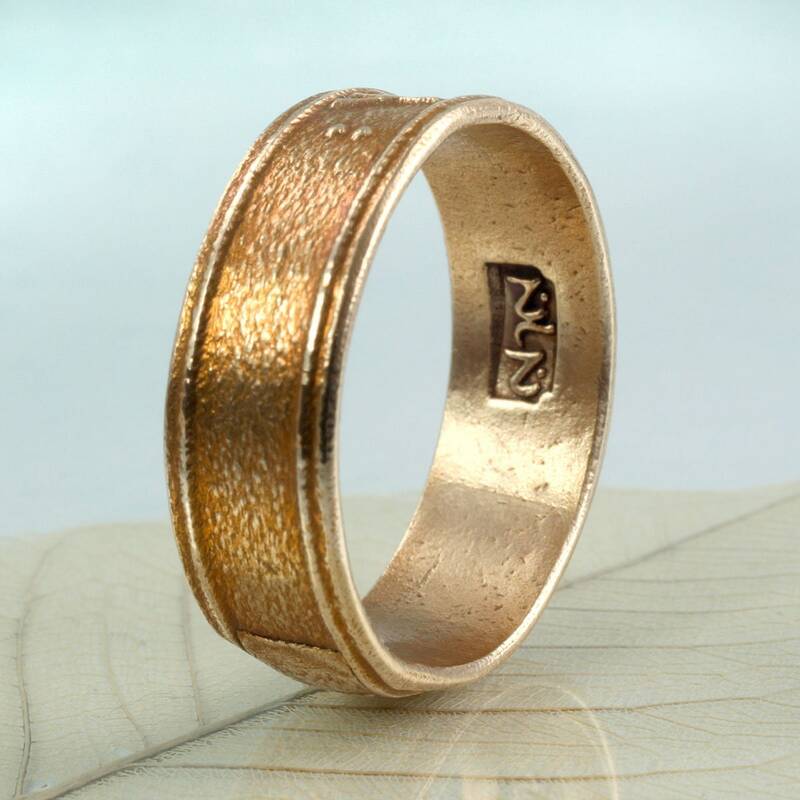 Highly recommend if you want a unique, meaningful, and affordable ring. Nana was very accommodating and nice as well! This ring was perfect. Nana worked with me and made sure that I was happy with it and it turned out awesome!